Playtex liners are collapsible, meaning that as your baby takes in liquid, the liner collapses rather than filling with air. This keeps air out of baby's tummy and helps reduce gas and stomach discomfort. Size (inches): 2.36" X 3.54" X 2.56"
If you choose to supplement breastfeeding with a bottle, Playtex Disposable Liners can be used to store or freeze your breast milk. It is important that a liner is strong for storage. 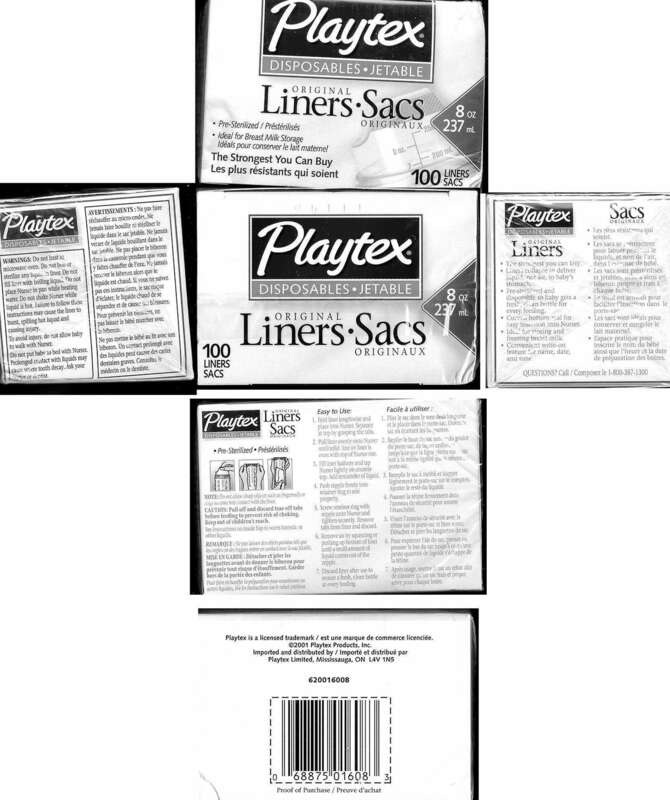 Many liners may tear and leak, but Playtex Disposable Liners are "The Strongest You Can Buy!"